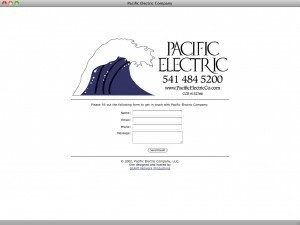 Stub-site for local electrician with integrated email contact form. I designed the logo/typesetting, too. Yes, the logo is a blatant rip off of the iconic Japanese woodblock print The Great Wave off Kanagawa. But it looks nice.